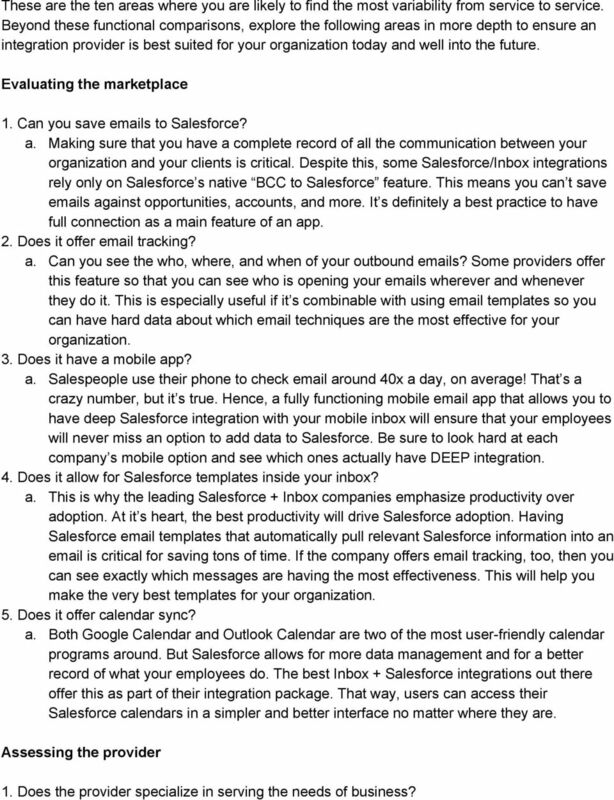 Download "How to Choose the Best Inbox Integration for Salesforce"
1 How to Choose the Best Inbox Integration for This guide is written for information technology specialists who are looking for ways to improve productivity. is one of the most innovative and fastest growing companies on the planet. Over the last fifteen years, they ve grown to become the leader in customer relationship management (CRM). They ve led the cloud revolution which has spread to with Google Apps for Business and Microsoft s Office 365, both of which allow for a business to do their entirely in the cloud. Both options, along with pride themselves on being customizable and powerful systems that can drive profitability. As companies move both their work suites and CRM into the cloud, they are increasingly looking to integrate the two to improve employee productivity, increase the quality and quantity of business data, and streamline their workflows. However, the biggest reason that companies are looking to integrate the two is one of practicality: poor user productivity is the single biggest thing holding most deployments back. And the biggest reason for poor user productivity is that it s an inefficient process for the vast majority of workers. is a fantastic resource for managers, but acts as a time drain for sales and support workers. Simply put, sales and support workers live in their inboxes, so they re unwilling to put in the time and effort needed to learn and use a bulky CRM system on a daily basis. 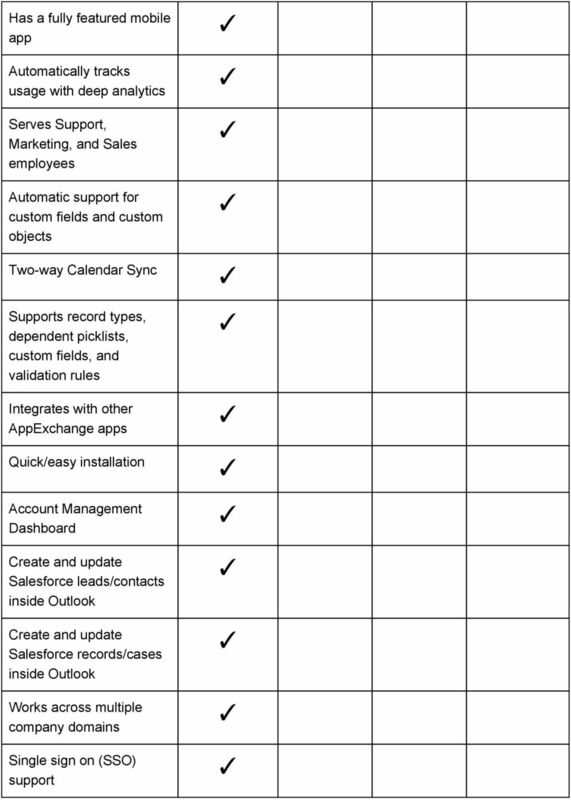 This guide will help users of, and either Google Apps or Microsoft s clients (Office 365 or Outlook), figure out if a third party integration makes sense for their organizations, and, if so, how to differentiate between the various vendors providing this service. 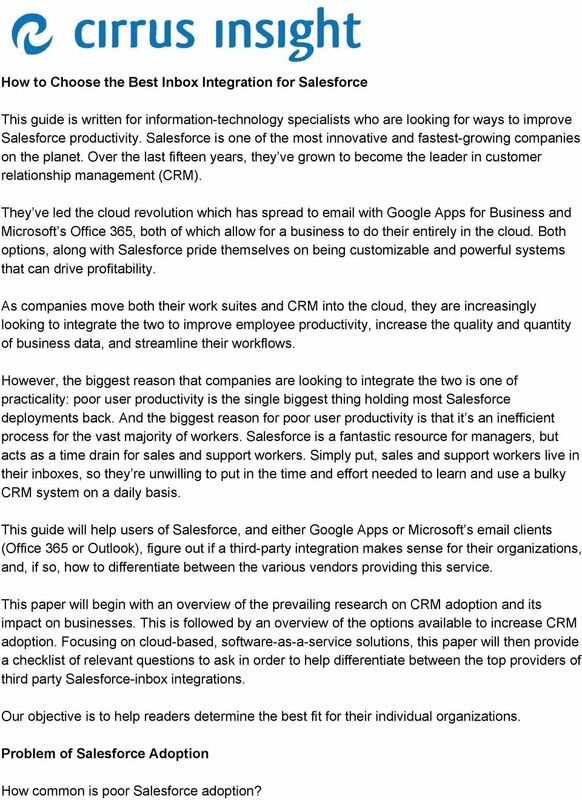 This paper will begin with an overview of the prevailing research on CRM adoption and its impact on businesses. 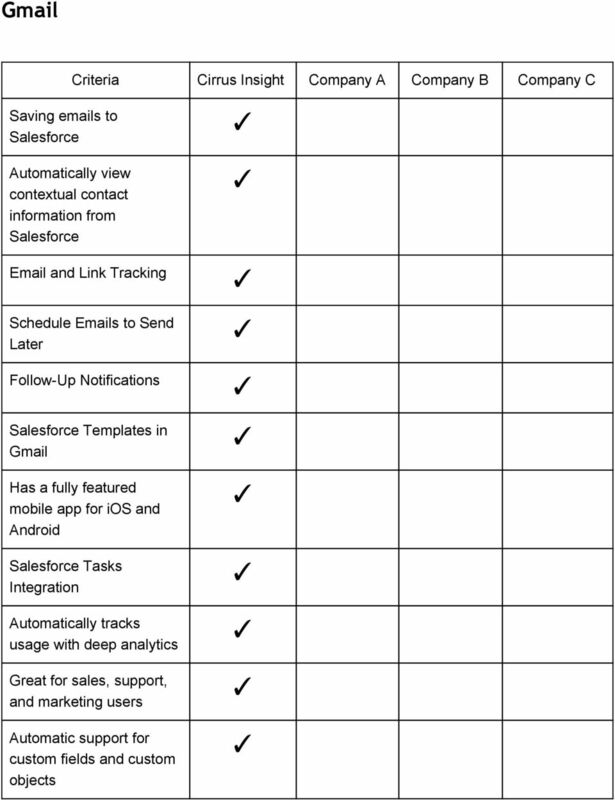 This is followed by an overview of the options available to increase CRM adoption. 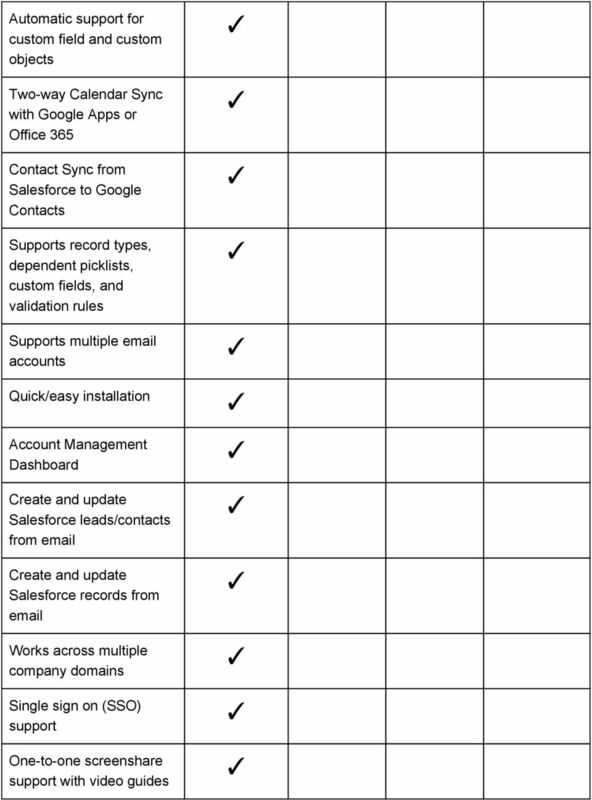 Focusing on cloud based, software as a service solutions, this paper will then provide a checklist of relevant questions to ask in order to help differentiate between the top providers of third party inbox integrations. Our objective is to help readers determine the best fit for their individual organizations. Problem of Adoption How common is poor adoption? 2 The statistics speak for themselves: Only 31 percent of companies reported user adoption of 90 percent (Accenture CSO Insights) A well known AMR study shows that 47 percent of companies reported serious challenges with user adoption that often put projects in jeopardy (AMR Research) Lack of user adoption is cited as the primary cause of 70 percent of failed CRM projects (Forrester Research) 50 percent of software functionality paid for and licensed by organizations is not actually used (Butler Group) What impact does poor adoption have on an organization? Low adoption is damaging to companies on multiple levels. It causes confusion, inaccurate business intelligence, and, a ton of lost value. Businesses may be able to get by without a fully functioning CRM, but there s a ton of lost potential value. That loss leaves room for the competition to take that potential revenue and profits for themselves. It s the classic story of a leaner, hungrier competitor coming in and disrupting a field. It s also just plain wasteful of money. In 2003 alone, it was estimated that over $1 billion was spent on software that companies weren t even using. Imagine that number today.that s why it s extremely important to increase that adoption rate. However, the true value comes from increasing it correctly. If a company was able to guarantee 100% adoption tomorrow, then their workforce would be wasting a ton of time inputting data into a bulky and hard to use system. Employees only have so many hours in a day. 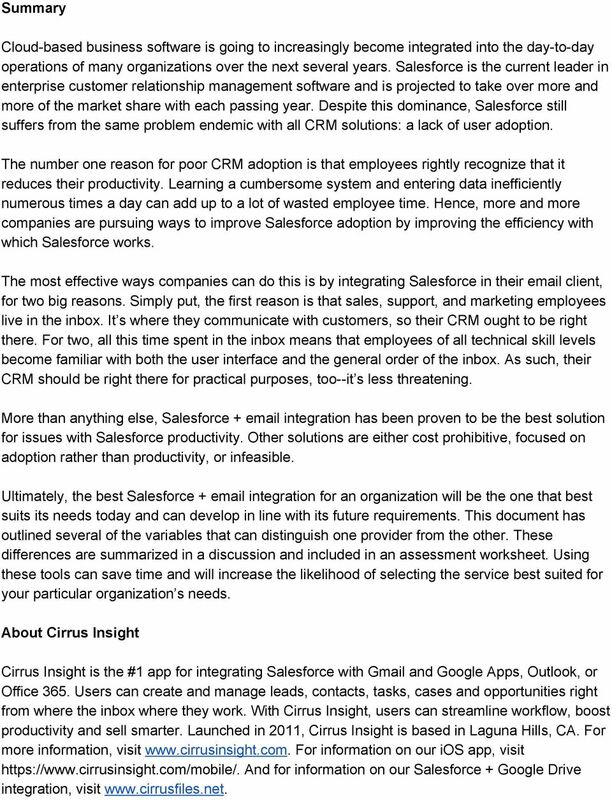 While CRM adoption is important, many workers feel that they time they spend making sales calls, talking with clients, and working on deals is more important than time spent inputting data. And they have a point! Why should they use software that ruins their workflow? The real key to improving CRM adoption is to make it as efficient and painless as you want the rest of your business to be. Think of your employees as customers would you sell your organization to them to use? What are the options for increasing productivity? One of the challenges that companies face with increasing productivity is figuring out what solution will work for getting their employees to input more data. There are a number of different ways that companies look to accomplish this. 3 The problem lies on trying too hard to improve the usage rate, but not actual productivity. In many cases, improving adoption can actually lose the company money in terms of employee time spent on data input rather than selling, supporting, or marketing a product. Here are some of the different options that companies have available for increasing adoption: 1. Gamification Gamification is a fast growing field in all sectors of business. Most commonly, businesses use gamification software to drive productivity in terms of things like number of calls made, number of support tickets handled, most leads converted, etc. It can be incredibly useful for an outbound sales team to have a friendly, competitive spirit. Gamification for can have drawbacks, though. If you re rewarding the employees that do an inefficient process the most times in a day, then you re going to end up with a lot of wasted time. Your employees will focus on the wrong things! Hence, it s not really a solution for increasing productivity. 2. Hiring more developers to make easier developers are in huge demand for businesses of all sizes. They make sure the backend of is working right by coding and setting the organization up to the needed specifications. As such, average starting salary for a developer can be north of $90,000 and much more for those with experience. Hiring a developer to focus solely on improving employee productivity is therefore very cost inefficient, especially if you need more than one, which is the case for many large organizations. And you re still asking employees to learn a foreign system. 3. Training If you thought hiring a developer was expensive, think about how costly training sessions are. Learning can be complex and time intensive. One or two hour training sessions won t cut it for a lot of employees. Training needs to be repeated and in depth if employees are going to remember it. Think about all the things that they could be doing other than learning an inefficient system with those hours. When you add in the cost of the trainers and the success rate of training programs in general, this too becomes a poor option. 4. Threats Believe it or not, this is one of the more common ways managers look to increase productivity. It s also one of the worst and most ineffective ways to do things. Most companies aren t going to risk firing an otherwise effective sales, support, or marketing employee because they aren t reporting on enough customer information. 4 What s worse is that it still doesn t solve the inefficiency issue. If you successfully get your employees to input tons of data into, then you may have just threatened them to be more inefficient! Simply put, this just isn t good for your company or your employees. 5. 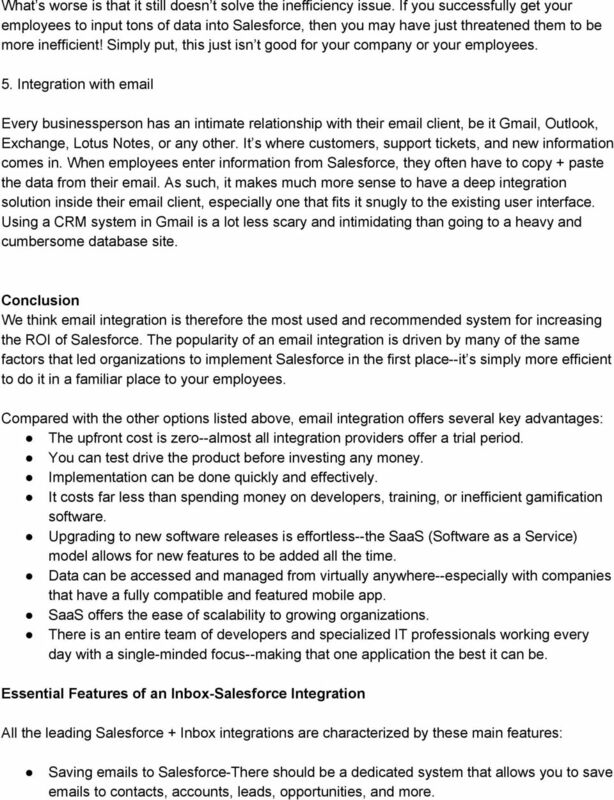 Integration with Every businessperson has an intimate relationship with their client, be it Gmail, Outlook, Exchange, Lotus Notes, or any other. It s where customers, support tickets, and new information comes in. When employees enter information from, they often have to copy + paste the data from their . As such, it makes much more sense to have a deep integration solution inside their client, especially one that fits it snugly to the existing user interface. 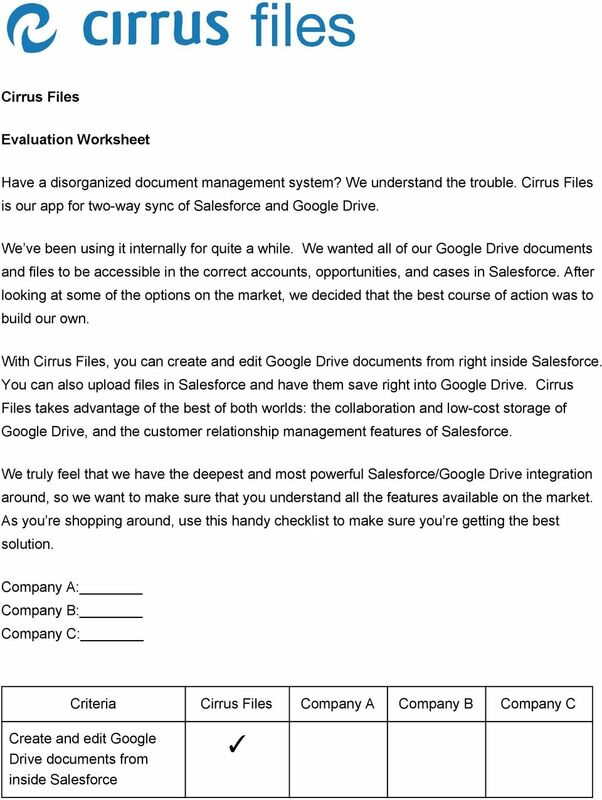 Using a CRM system in Gmail is a lot less scary and intimidating than going to a heavy and cumbersome database site. Conclusion We think integration is therefore the most used and recommended system for increasing the ROI of. The popularity of an integration is driven by many of the same factors that led organizations to implement in the first place it s simply more efficient to do it in a familiar place to your employees. Compared with the other options listed above, integration offers several key advantages: The upfront cost is zero almost all integration providers offer a trial period. You can test drive the product before investing any money. Implementation can be done quickly and effectively. 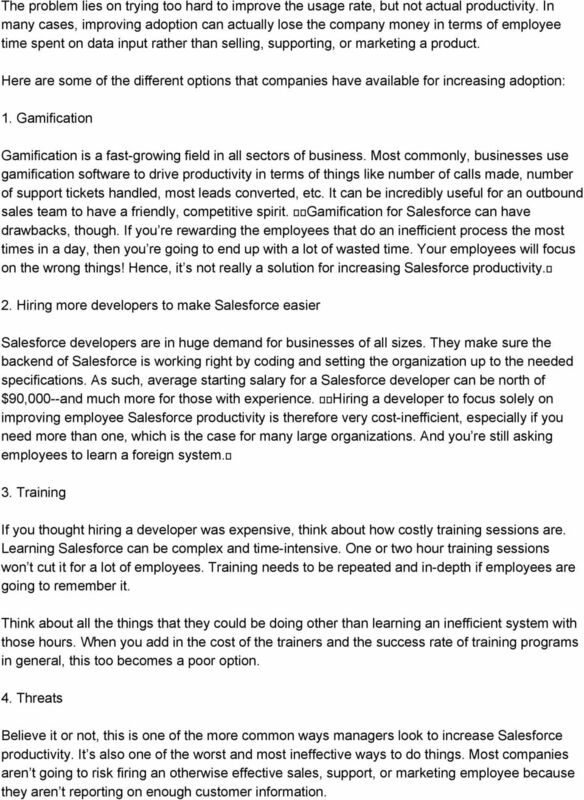 It costs far less than spending money on developers, training, or inefficient gamification software. Upgrading to new software releases is effortless the SaaS (Software as a Service) model allows for new features to be added all the time. Data can be accessed and managed from virtually anywhere especially with companies that have a fully compatible and featured mobile app. SaaS offers the ease of scalability to growing organizations. There is an entire team of developers and specialized IT professionals working every day with a single minded focus making that one application the best it can be. 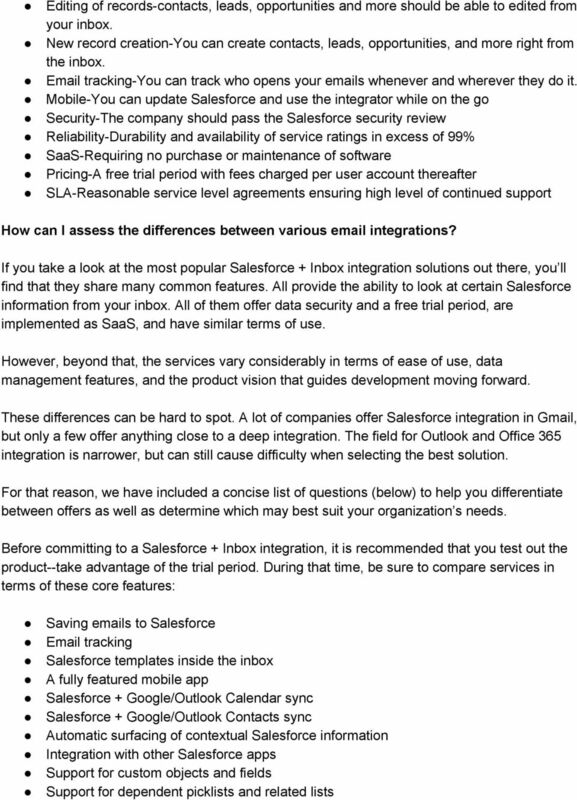 Essential Features of an Inbox Integration All the leading + Inbox integrations are characterized by these main features: Saving s to There should be a dedicated system that allows you to save s to contacts, accounts, leads, opportunities, and more. 6 These are the ten areas where you are likely to find the most variability from service to service. Beyond these functional comparisons, explore the following areas in more depth to ensure an integration provider is best suited for your organization today and well into the future. Evaluating the marketplace 1. Can you save s to? a. Making sure that you have a complete record of all the communication between your organization and your clients is critical. Despite this, some /Inbox integrations rely only on s native BCC to feature. 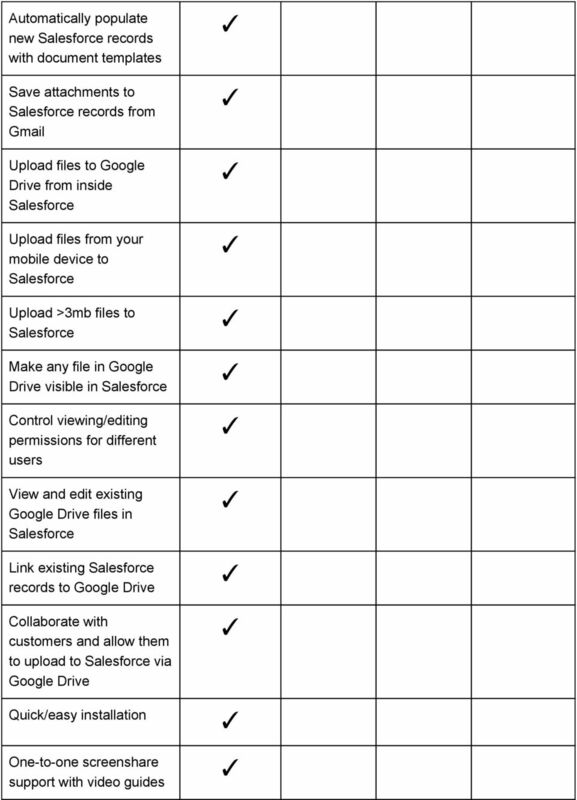 This means you can t save s against opportunities, accounts, and more. It s definitely a best practice to have full connection as a main feature of an app. 2. Does it offer tracking? a. Can you see the who, where, and when of your outbound s? Some providers offer this feature so that you can see who is opening your s wherever and whenever they do it. This is especially useful if it s combinable with using templates so you can have hard data about which techniques are the most effective for your organization. 3. Does it have a mobile app? a. Salespeople use their phone to check around 40x a day, on average! That s a crazy number, but it s true. Hence, a fully functioning mobile app that allows you to have deep integration with your mobile inbox will ensure that your employees will never miss an option to add data to. 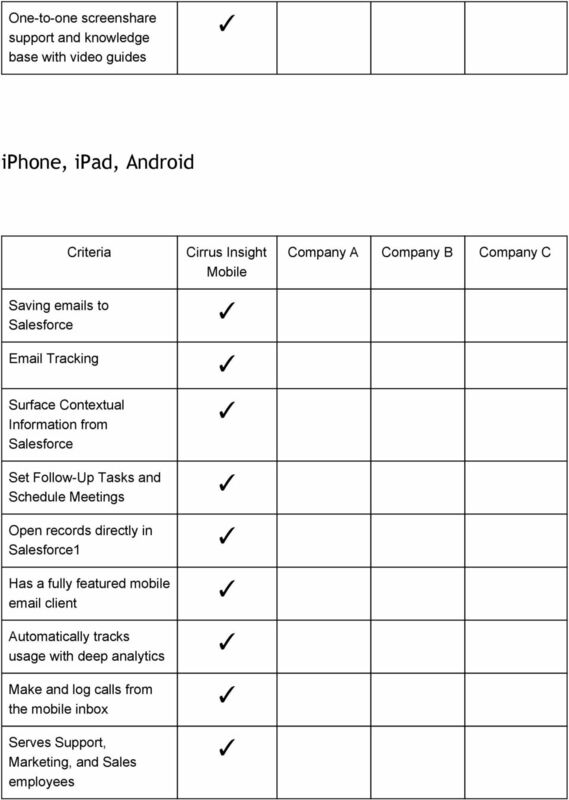 Be sure to look hard at each company s mobile option and see which ones actually have DEEP integration. 4. Does it allow for templates inside your inbox? a. 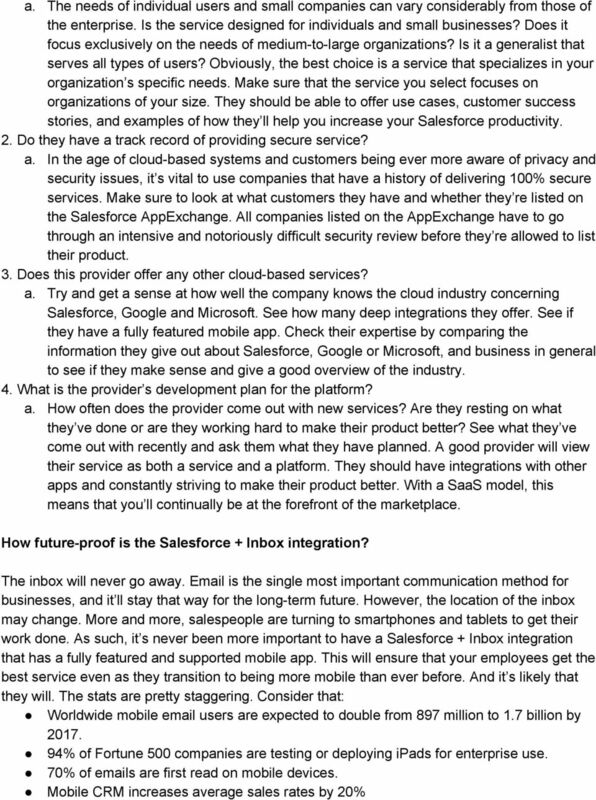 This is why the leading + Inbox companies emphasize productivity over adoption. At it s heart, the best productivity will drive adoption. Having templates that automatically pull relevant information into an is critical for saving tons of time. If the company offers tracking, too, then you can see exactly which messages are having the most effectiveness. This will help you make the very best templates for your organization. 5. Does it offer calendar sync? a. Both Google Calendar and Outlook Calendar are two of the most user friendly calendar programs around. But allows for more data management and for a better record of what your employees do. 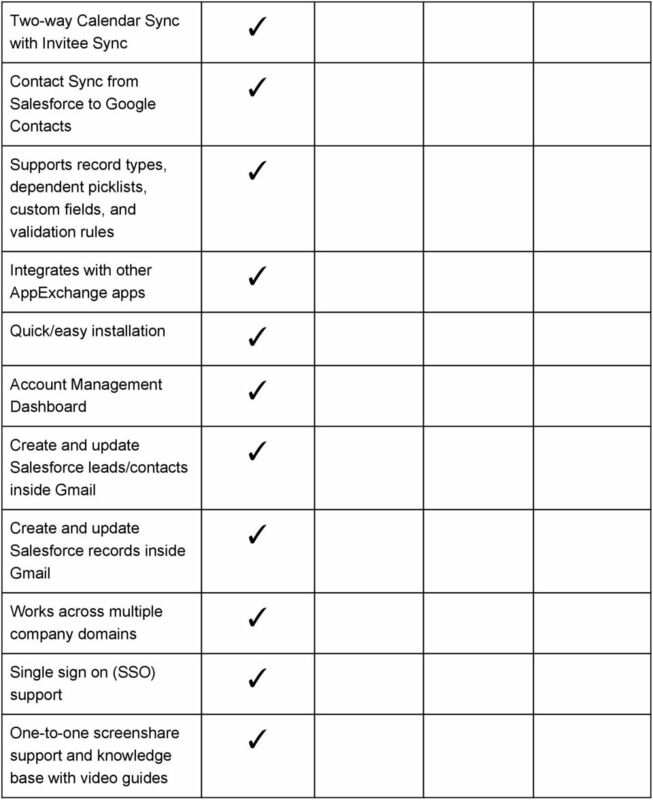 The best Inbox + integrations out there offer this as part of their integration package. That way, users can access their calendars in a simpler and better interface no matter where they are. Assessing the provider 1. Does the provider specialize in serving the needs of business? 9 Evaluation Worksheet Look, we feel your pain. Using and getting folks to use is a big challenge. 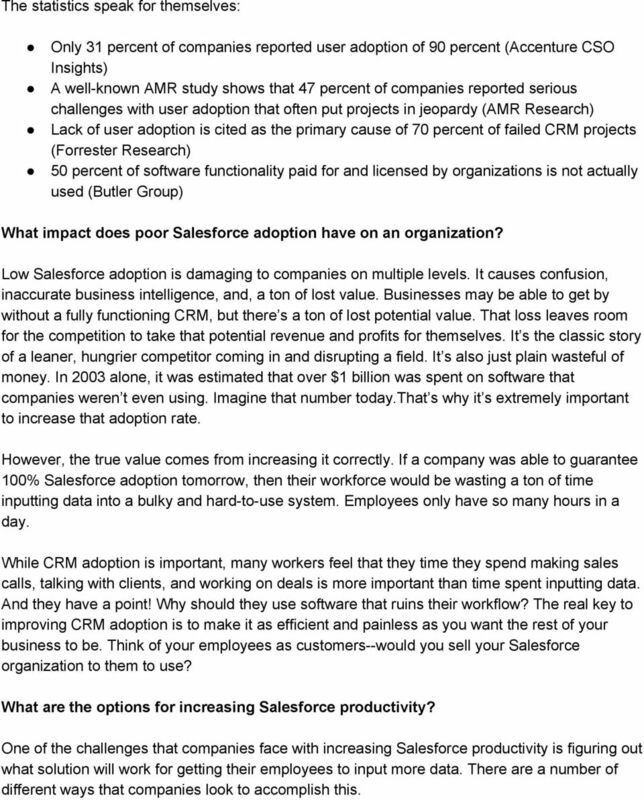 Lack of adoption is the #1 reason why a CRM implementation fails. That s not good, because CRMs are vital to a company s growth. 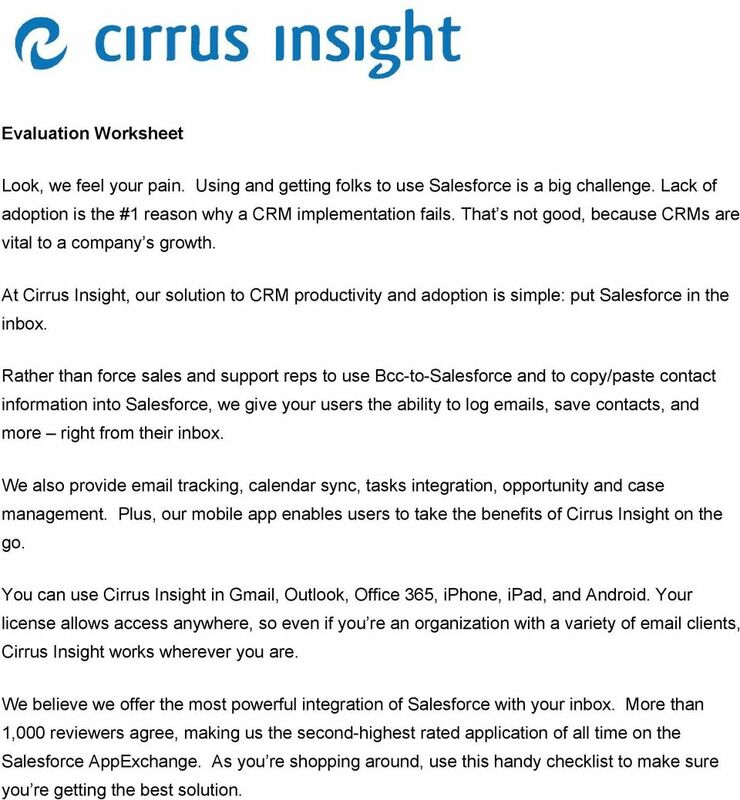 At Cirrus Insight, our solution to CRM productivity and adoption is simple: put in the inbox. Rather than force sales and support reps to use Bcc to and to copy/paste contact information into, we give your users the ability to log s, save contacts, and more right from their inbox. We also provide tracking, calendar sync, tasks integration, opportunity and case management. Plus, our mobile app enables users to take the benefits of Cirrus Insight on the go. 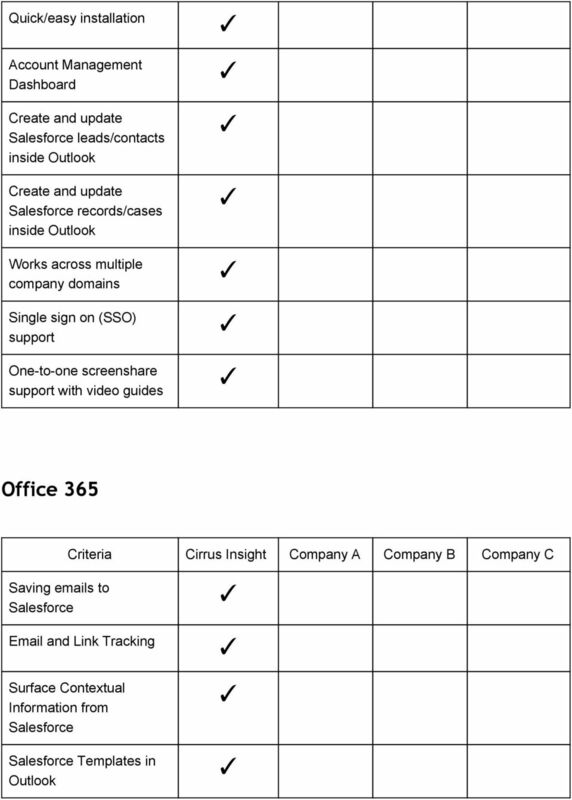 You can use Cirrus Insight in Gmail, Outlook, Office 365, iphone, ipad, and Android. Your license allows access anywhere, so even if you re an organization with a variety of clients, Cirrus Insight works wherever you are. We believe we offer the most powerful integration of with your inbox. More than 1,000 reviewers agree, making us the second highest rated application of all time on the AppExchange. As you re shopping around, use this handy checklist to make sure you re getting the best solution. Internet Leads. The Art of Lead Generation. How you can cultivate, manage and close more internet leads. MOBILE SALES ENABLEMENT HOW TABLETS UNLOCK SALES OPPORTUNITIES WHY MOBILE SALES ENABLEMENT IS IMPORTANT The rapid adoption of mobile devices has sales and marketing leaders reinventing how they go-to-market. 10 TIPS FOR ACCELERATING YOUR PIPELINE Accelerate the Funnel The average sales cycle length has increased 22% over the past five years due to more decision makers being involved in the buying process (SiriusDecisions). Payroll + Benefits + Compliance. Manage all your HR online, in one place. 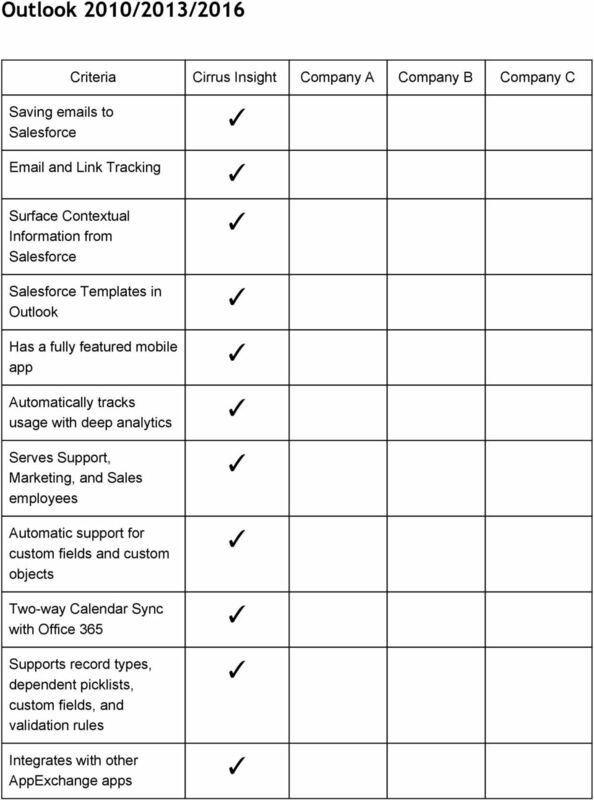 Is cloud CRM really that great? Here s how to choose the right mobile app for you.